Intel needs graphics power. AMD needs cash. Both need to fight Nvidia. AMD already owns the graphics in consoles, and the next place it could plant its flag could be the last anyone expected: Intel. While rumors of a possible deal have circulated all year, something firmer arose Monday night when Kyle Bennett, longtime editor of enthusiast hardware site HardOCP.com, posted that the ink on the deal was already dry. 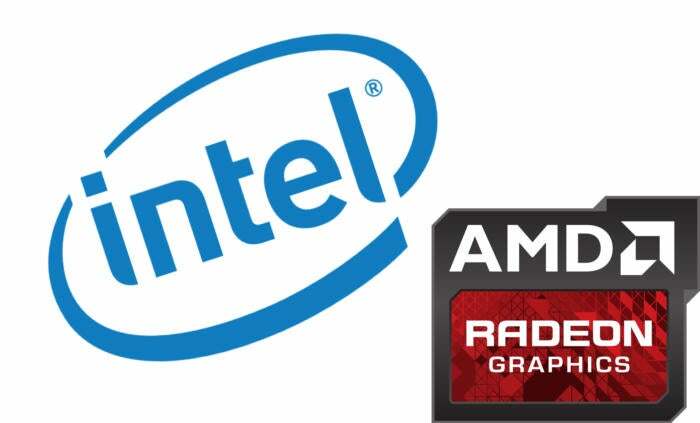 “The licensing deal between AMD and Intel is signed and done for putting AMD GPU tech into Intel’s iGPU,” Bennett wrote on his site’s forum. Officials PCWorld contacted at both companies declined to comment, but reached Wednesday morning, Bennett stood by his comments and added a little more detail. As bizarre as such a partnership may sound to outsiders, the timing actually makes it more likely. Kevin Krewell, an analyst with Tirias Research, laid out two possible scenarios in a column at Forbes.com that was published Tuesday evening. First, Intel needs patent protection. Nvidia and Intel began suing each other in 2009 over Nvidia’s nForce chipsets for Intel CPUs. The suits were eventually settled in 2011: Nvidia agreed not to build chipsets for Intel’s Core i7 CPUs, and Intel was free to build graphics cores without getting sued by Nvidia. The price of Intel’s freedom was high, though: The chip giant agreed to pay Nvidia licensing fees over the next six years totalling $1.5 billion. After writing the last $200 million check in January 2016, the licensing deal is winding down, which means Intel has to go shopping for patent protection for its graphics cores. As AMD and Nvidia essentially own the lion’s share of graphics patents in the world, developing graphics cores is nigh impossible without licensing deals. Krewell said Intel could just ink a deal and be done with it. The second scenario, however, is far more intriguing, if, as Bennett says, Intel uses Radeon graphics inside of Intel CPUs. This forum post points to a likely licensing deal between AMD and Intel. Fans may be concerned that such a deal would all but give up the last advantage AMD’s upcoming Zen-based APUs would have over Intel chips. 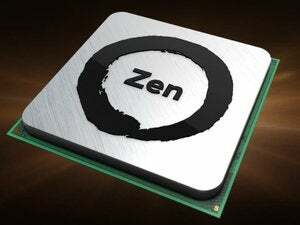 AMD’s Zen core could equal Intel’s newest cores in x86 performance. Combine that with AMD’s much more powerful graphics cores and you’d have an instant winner. Financial realities, however, overshadow any moral victories. “Is it better to make a royalty on 80 percent to 90 percent of the PC processor shipments or fight it out for the remaining 10 percent or 20 percent?” Krewell said. AMD can make a lot more money partnering with Intel rather than competing. For its part, Intel has plenty of reasons to stop sending money to Nvidia. As the GPU maker busily builds market share in self-driving cars, machine learning and more, it’s becoming more of a threat to Intel (which is trying hard to get its own chunk of these businesses). In AMD, Intel would have a partner that offered competitive technology to Nvidia’s—and needed its money. We’ll continue to follow this story and will let you know when we learn more.